Arrribbaaaa!! 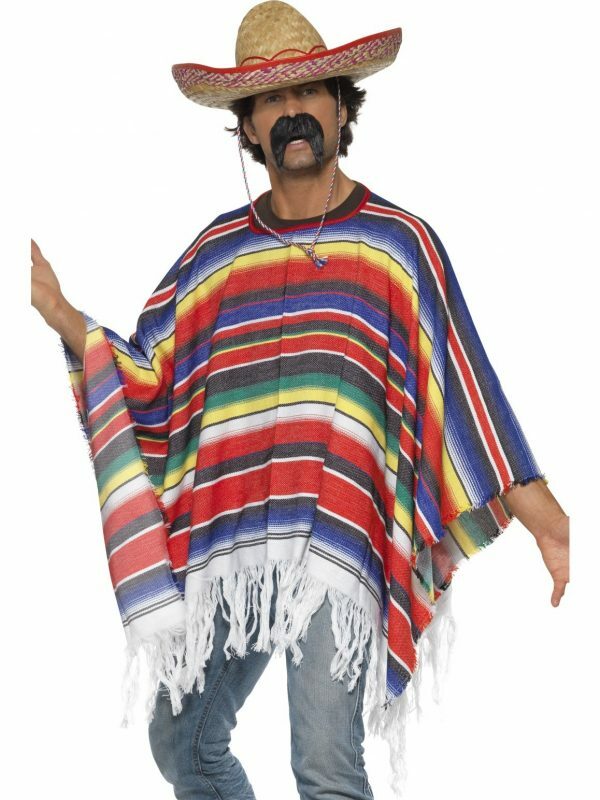 Party like a real Mexican in this multicoloured adult men’s fancy dress poncho costume. 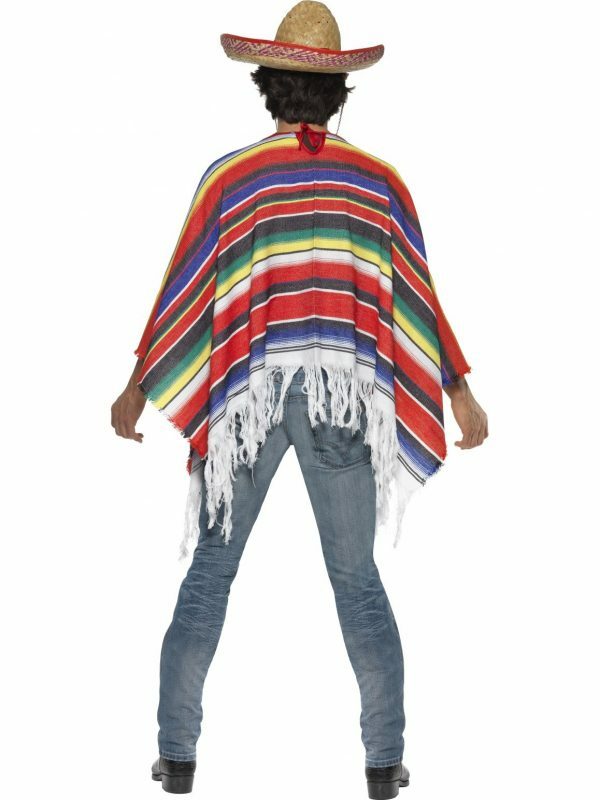 The poncho is made of a Woven Fabric and is brightly coloured with in red, yellow, blue, green white and black. 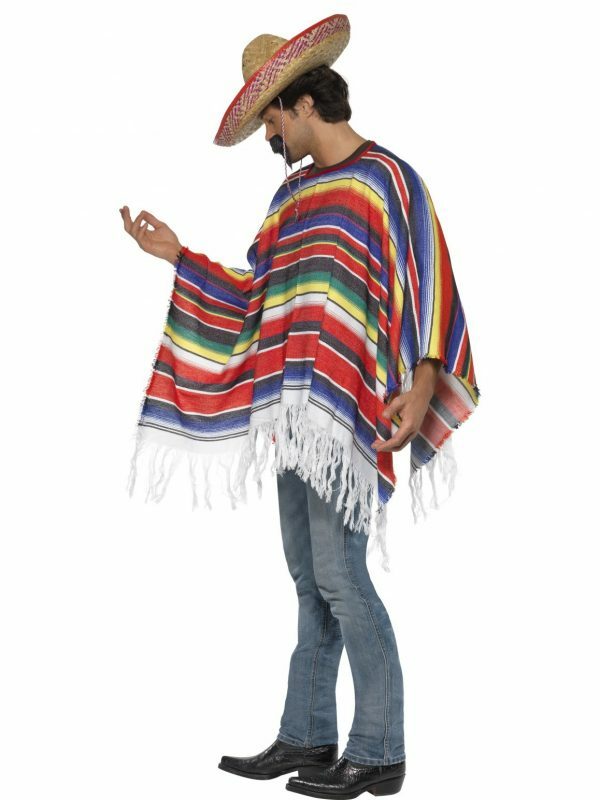 The poncho has white fringing. 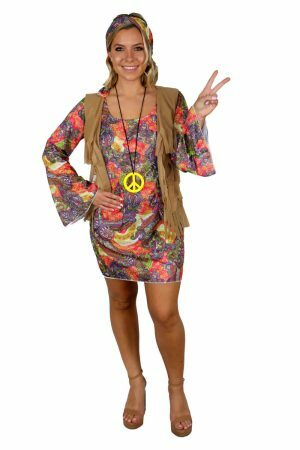 The Poncho comes in a One size fits Most and can be worn by Men and Women.